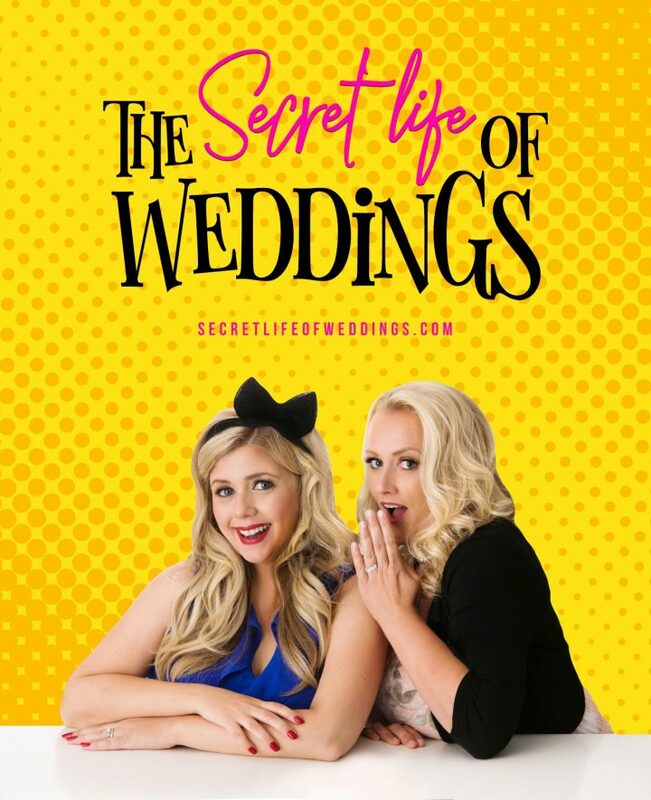 In 2016, Lisa & Rebecca started a podcast called The Secret Life of Weddings. On a mission to tell the world’s craziest wedding stories, the podcast is, in their own words, “full of alcohol and bad ideas.” The two real-life wedding photographers have spent 20+ years working in the industry and love dishing out on some unbelievable yet hysterical wedding drama. If you’re engaged, Lisa & Rebecca promise to take you from hot mess wedding planning mode to pee your pants laughing! Here at HitchSwitch, we’re not just their #1 fans but are proud to be the official sponsor of The Secret Life of Weddings. Read below to get in on our conversation with co-hosts, Lisa & Rebecca! What inspired you to start SLOW? We have been wedding photographers for so many years and have seen everything that can go right and hilariously wrong! One time we worked together on a particular wedding where someone was acting quite challenging, and over drinks, we thought up the idea of starting a podcast! We figured that this podcast would be a great place for fellow wedding vendors, brides, guests, etc. could anonymously email us their craziest true wedding stories, and we would share with the world! That’s when The Secret Life of Weddings was born. What has been the most challenging aspect of starting a podcast? Probably always recording and releasing the episodes on-time no matter what. We understood that in order to be successful, we had to treat running a podcast like a business because essentially, that’s what it is. I don’t think we’ve ever missed a drop date, even if we were sick or on holiday. You learn to handle it! And to do it for over a year and a half is a challenge, but our amazing loyal listeners & sponsors make it worthwhile for us. That people genuinely care about the couple getting married and the wedding planning process. It’s really cool to see families come together and become one! What is The funniest listener submission.. if you can pick one? Oh, that’s like asking to pick a favorite kid, but if we had to pick one, it would probably be the one where a bride fell off a golf cart and got run over. It sounds horrible, I know, but I promise it was hilarious! The fact that you really shouldn’t be laughing … just makes you laugh even harder! She was 100% okay so we hope the universe will forgive us for laughing. Did either of you change your name and what did that mean for you? Yes, we both did! I (Lisa) actually added my husband’s last name onto my existing maiden name. It’s important to note I chose not to hyphenate because I didn’t want to create a new name, but only take on his name and maintain my existing last name too. I kept my maiden name for professional reasons and use my full married name for family purposes, as my kids have my married name. It meant a lot to me to take my husband’s name (I like the tradition of it), but my maiden name also still meant a lot to me. This was the perfect compromise and just felt right. What is your favorite current wedding trend? What advice do you have for a brides-to-be in dealing with the stress of wedding planning/ frustrating guests & family? Try to keep perspective and accept the fact that something, no matter how small, will go wrong on your wedding day. It’s best to accept this fact and decide it won’t ruin your wedding day. As for unwanted advice from well-meaning friends & family, merely thank them for their thoughts and change the subject. Wedding planning is prime time for people coming out of the woodwork with unwanted suggestions. Let them feel like they helped, and then do what you want anyway. It’s your wedding, not theirs. You’re both married. Can you share any advice for newly married HitchSwitch clients? Don’t expect marriage to be easy. You will have disagreements, and it’s all about how you handle them. Pick your battles … not everything is worth fighting over. If you fight or argue – don’t worry about it. It means you care about your relationship. Remember always to be each other’s best friend!